White House press secretary Jay Carney defended the administration’s decision to hand a Chinese dissident back to the communist regime, despite his assertion that he was denied asylum and his family tortured. 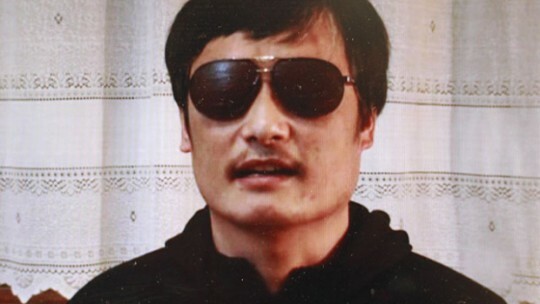 Carney did not go so far as to call Chen Guangcheng, a blind lawyer who has campaigned against China’s forced sterilization program, a liar, but he did deny the attorney’s claims of pressure from U.S. officials to stay in China. "At no time did any U.S. officials pressure him. At no point during his time in the embassy did Mr. Chen ever express a desire to (seek asylum)," Carney said. "There was no pressure of any kind placed on him by any U.S. officials." Chen has said that he returned to China only after getting word that his wife had been tied to a chair and beaten and his six-year-old daughter starved, after he escaped house arrest and fled to the U.S. Embassy. Carney did not express sympathy to Chen’s apparent ordeal, but continued to deny Chen’s claims that "he came under tremendous pressure from American officials"—not those from the embassy but others—"to leave the diplomatic facility as quickly as possible." Chen is now begging for asylum for his family and has even asked to fly back on Secretary of State Hillary Clinton’s plane, according to the Daily Beast. Carney referred many reporters to the U.S. State Department about the specifics of asylum. He pledged that the U.S. will make sure that Chen is not further mistreated. "We would continue to monitor Mr. Chen’s case and would raise concerns if there is any cause for concern," Carney said. This entry was posted in National Security and tagged Chen Guangcheng, Jay Carney, Obama Administration. Bookmark the permalink.